Innovation management starts with capturing ideas. Ideation is the new approach supported by Microsoft Project Online and SharePoint Online to collect and rate project proposals. Team members, or any person across the organization, may create ideas and rate their potential. Project ideas are then selected for realization and a project plan is created in Project Web App. Project managers create detailed schedules, plan resources and costs in Project Online while portfolio managers oversee the whole portfolio. This solution supports the complete project life-cycle from exposing ideas for consideration to evaluation of project proposals and project management. Coupled with Cloud-based solutions like Microsoft SharePoint and Project the foundation for a highly flexible and scalable solution is established. 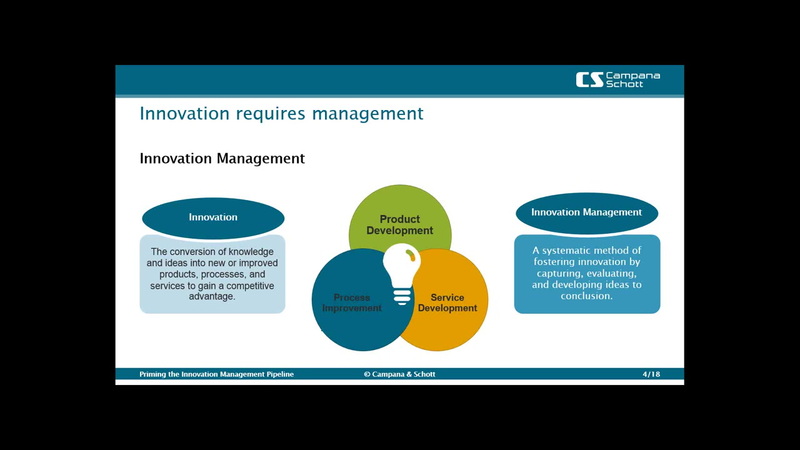 During this event, students will learn how Innovation Management supports the complete project lifecycle from an ideation to a calculated approach to Project Management. Markus Waldinger, Manager at Campana & Schott with focus on Project Management and Social Collaboration and more than 10 years of experience. In this decade he has implemented Microsoft Project Server from version 2003 on and EPM based solutions within a variety of customers such as Bombardier, EADS or Bayer. Based on his proficiency he is responsible for the technical and functional evaluation of Project Server since 2010 and is leading the competence network EPM at Campana & Schott. Its main goal is gathering, managing and providing knowledge around EPM solutions across the whole company. He also acts as a Virtual Technical Solution Specialist for Microsoft.